SharePoint workflows are pre-built mini-applications that streamline and automate a broad variety of business processes — from collecting signatures on documents, feedback, or approvals, to tracking the current status of a routine procedure or process. SharePoint workflows are designed to save you time and effort, and to bring consistency and efficiency to business tasks that you perform on a regular basis. Out of the box, SharePoint workflow has limitations and will require custom development to perform anything beyond simple approvals (You can see some simple SharePoint Workflows here: SharePoint Workflow ). K2 for SharePoint enhances SharePoint workflow and forms, and takes them to the next level without the need for custom code/development. 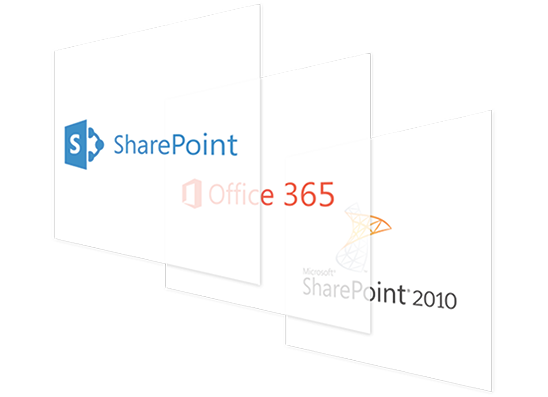 With K2 you can support any version of SharePoint Workflow, including SharePoint 2013, SharePoint Online and SharePoint 2010. With K2’s visual designers, digitizing your workflow process is as simple as drag-and-drop on your canvas. 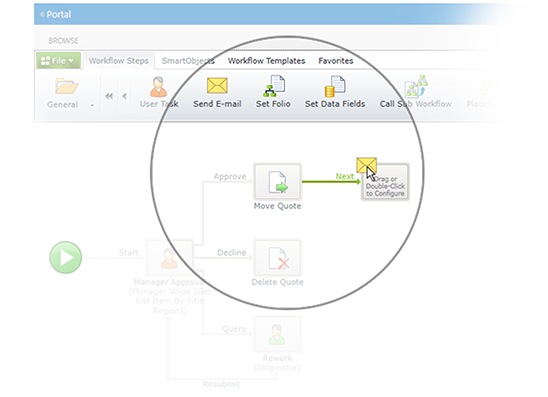 Laying out your visual workflow helps the business gain insight into any business process, and helps to automate and provide efficiency as workflow can be changed or redesigned in an instant for added improvement.